“Do more with less” — that’s been the government’s mantra in the IT space. Over the last 20 years, new technologies, shrinking budgets and demands for greater efficiency have driven IT consolidation in the federal government and will continue to do so in the future. From the Department of Defense’s Efficiencies Memorandum to the Office of Management and Budget directives mandating 25 percent cost reductions, consolidation is no longer an option — it’s a requirement. Consolidation offers the opportunity to provide the same or better service with a smaller footprint, improved security and greater efficiency through standardization — or at least that’s what it’s supposed to accomplish. However, many organizations focus too much on the technology and too little on their mission and people, racing against the clock and consequently overlooking customer service. Whether your agency is large or small, consolidation is about technology and cost savings. Whether you are implementing a single new solution, migrating all of your users to a single domain or moving data off of end-of-life servers, you seek to reduce duplication and increase efficiencies. Keep in mind that IT systems enable an organization’s mission. But when IT becomes more important than the mission and the customers it supports, customer service is reduced to an afterthought and the mission gets lost. An agency that fails to regard customer service as a top priority throughout consolidation will likely experience problems. As much as the transition is about IT, humans still play a role. And unlike software and hardware, most humans are uncomfortable with change; they are comfortable with familiarity and do not like the unknown. As Rosabeth Moss Kantor, director and chair of the Harvard University Advanced Leadership Initiative, wrote in an article in the Harvard Business Review, “Change interferes with autonomy and can make people feel that they’ve lost control over their territory.” So it should come as no surprise that, because consolidation brings massive change, people will resist. In some cases, they will fear it, which is exactly why agencies must focus on users and customers throughout the effort. For some users, change could mean breaking old relationships. Instead of walking down the hall to your IT shop and getting help from a friendly, familiar face, users might have to call a distant help desk that seems preoccupied with statistics and closing tickets instead of solving problems. Other users may have to learn a new application, tool or operating system because their old one was consolidated. After years of developing trust with familiar routines and resources, the user can find the newness and difference of a replacement tool daunting and frustrating. In other cases, users could grow anxious about job security — either because positions are consolidated along with the IT or they fear they will be replaced because they can’t adapt to the new technology fast enough. Each one of these scenarios runs the risk of user fear and frustration, decreased productivity, disgruntlement or atrophy — all of which can be avoided or at least mitigated by placing an emphasis on customer service and communication before, during and after consolidation. Systems integrators are IT experts. However, it’s their job to give not only technical advice, but also guidance about how users are likely to be affected and how they might reasonably respond. 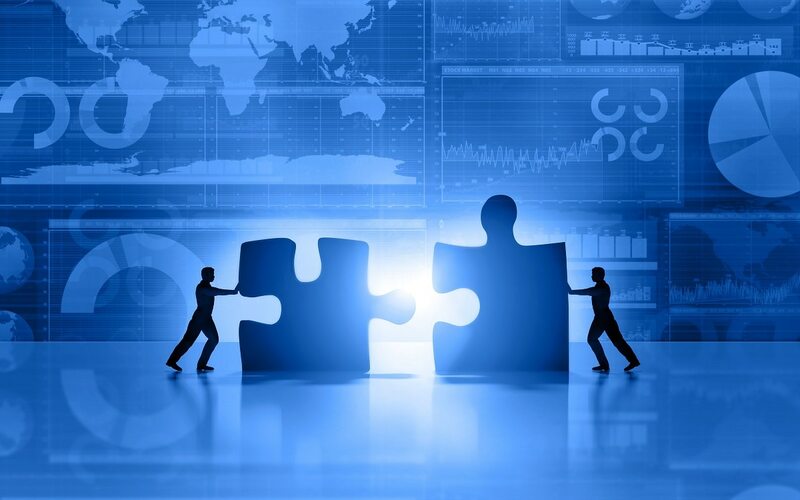 From the point of planning the consolidation up through the execution, systems integrators should ask themselves how every decision is going to impact users and their ability to achieve their strategic goals. If an action is likely to require a user to change his or her role, daily actions or responsibilities — or learn a new user interface or sequence of actions — integrators should pursue that action with careful change management. Systems integrators deliver technical support. But, at the end of the day, they provide customer service — giving users the tools and technology they need. Customer support begins with excellent planning. It ends when the users are operational — and comfortable — with a new systems reality that helps them accomplish their mission. Cynthia Barreda is CEO of mission applications, cloud and cybersecurity company NetCentrics.